Experience level. Intermediate. 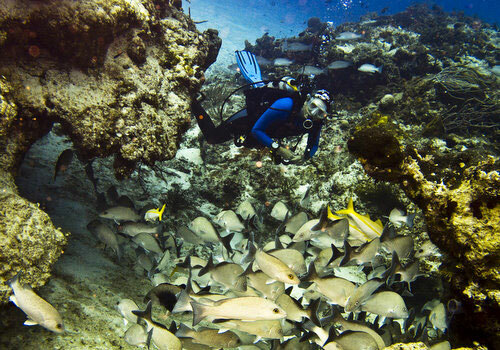 This dive is usually done as a second Cozumel Scuba Diving. San Francisco generally has a medium current, which encourages healthy reef and sponge growth. It is a wall dive. The wall edge starts at about 50' and is really a steep slope, but not a drop off, to the depths. You can go as deep as you want. There are healthy barrel sponges and low profile coral. Want to learn more about corals? A Coral Reef Guide is all what you need. Buy it. There are not many ledges or overhangs. 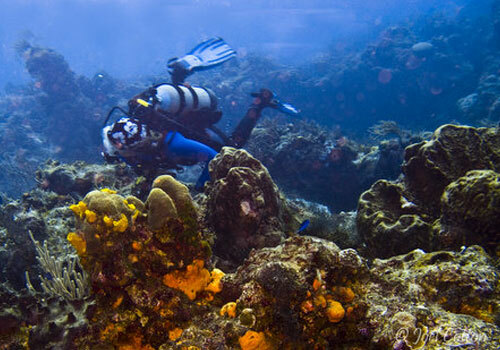 However, the sloping wall of pristine sponges, ea rods, and brain coral make this an exciting place to see and best for Caribbean Dive Vacation. On the top edge of the wall towards shore are sandy bottom areas and a few small overhangs to hide out from the current. 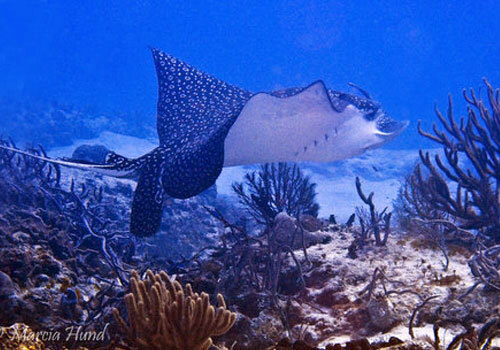 You can sometimes sea eagle rays in the sand or if cruising the edge of the wall at this Cozumel San Francisco reef. 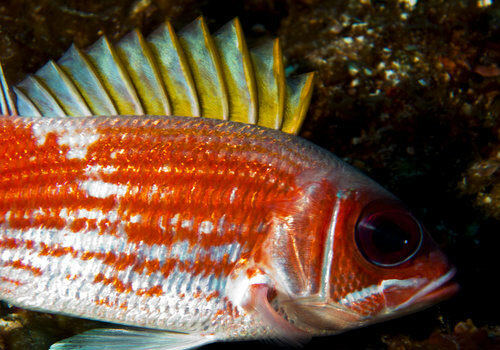 Be on the lookout for White spotted Filefish, Turtles, giant Parrotfish, French Angelfish, and Black Groupers.